Almost every one is looking for a quick fix and there are hundreds of fad diets, weight loss programs that promise fast and easy weight loss. Many people choose to starve themselves and do hours of cardio. Yes, you will lose weight quickly, but you will also lose muscle, feel low in energy, and probably be miserable! There is no quick fix if you desire long term results. All it requires is consistency and small changes when plateaus occur to ensure you are progressing at your desired rate. The foundation of successful fat loss remains a healthy, calorie controlled diet combined with increased physical activity. For successful, long-term fat loss, you must make permanent changes to your lifestyle and create healthy habits that become your routine. Less than 24% <0.2-0.7kg per week OR 0.25-0.75% of bodyweight per week. 25-34% 0.45-0.9kg per week OR 0.75-1.5% of bodyweight per week. Greater than 35% 0.7-1.5kg per week OR 1.0-1.5% of bodyweight per week. Less than 15% <0.2-0.7kg per week OR 0.25-0.75% of bodyweight per week. 16-25% 0.45-0.9kg per week OR 0.75-1.5% of bodyweight per week. Greater than 26% 0.7-1.5kg per week OR 1.0-1.5% of bodyweight per week. People who have a high amount of body fat can often lose larger amounts of weight and body fat. When someone is already lean and wants to get even leaner, the process is more difficult as there is less fat to lose. The goal is to eat as much as possible while still losing fat. 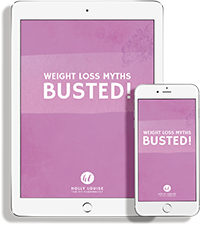 By opting for the lower end of the weight loss range you might take slightly longer to reach your goal weight, but you also will probably lose less muscle, feel better, and be able to enjoy the process more! So, in order to set yourself up for success – create a safe and realistic goal for yourself! So, in order to set yourself up for success – create a safe and realistic goal for yourself! By targeting fat loss over weight loss you will achieve better results in the end, even if though your progress seems a bit slower.